About: The Talbot is a very picturesque pub with its hanging baskets and flowers and is an ideal meeting place for groups. 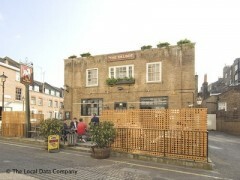 It is very much a city pub, relying on corporate clientele rather than residential. The food is cooked to order and there is a TV showing Sky Sports, mainly for football. They can cater for private parties of up to 75 people and provide outside seating on the terrace.